I would like to know for sure. 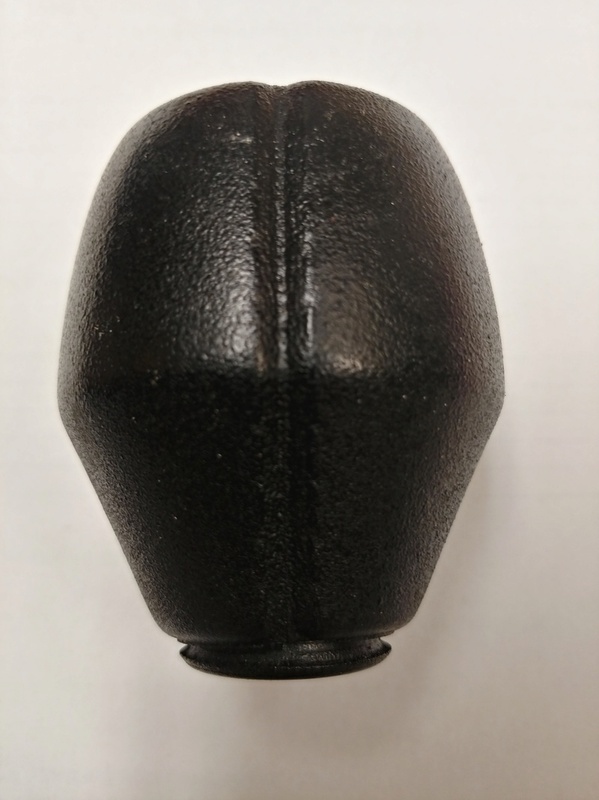 I also need the U-shaped clip that goes into the bottom of the button and down into the shaft (U shaped 1/4" wide about 1" long) anyone have one? 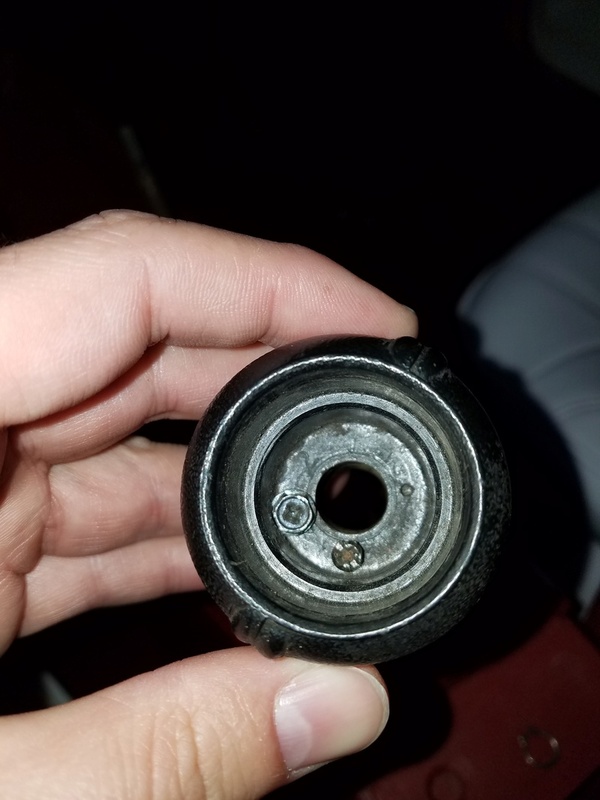 Re: 73 Auto Shifter knob ? i have one of those too. 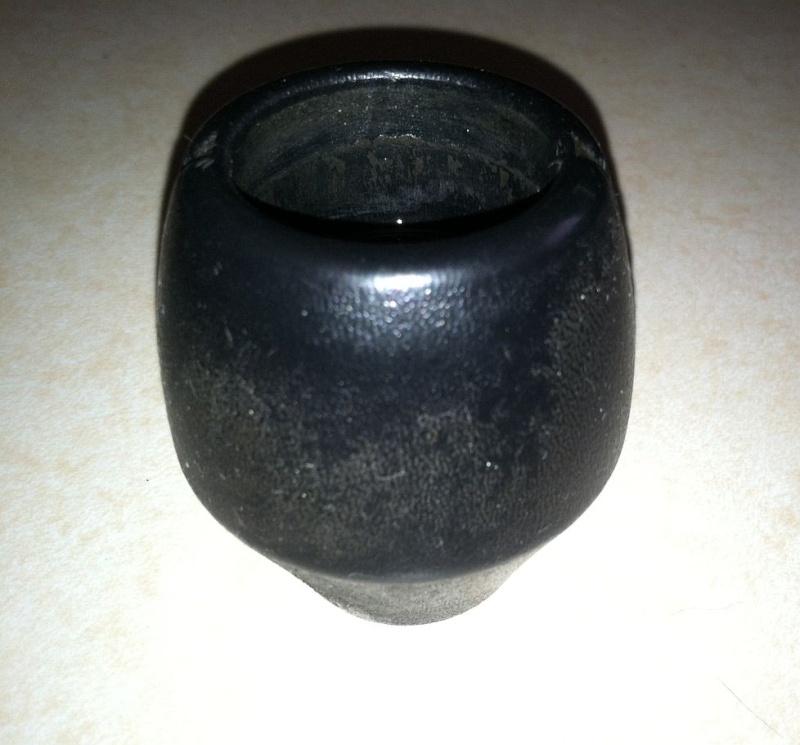 from what i can see is the plate is not molded correctly to the knob,thus no tabs. one day it could of came apart and nobody put it back together. i have 8 knobs,only one is that way.must of been a fluke. I like the 73 knob better also. 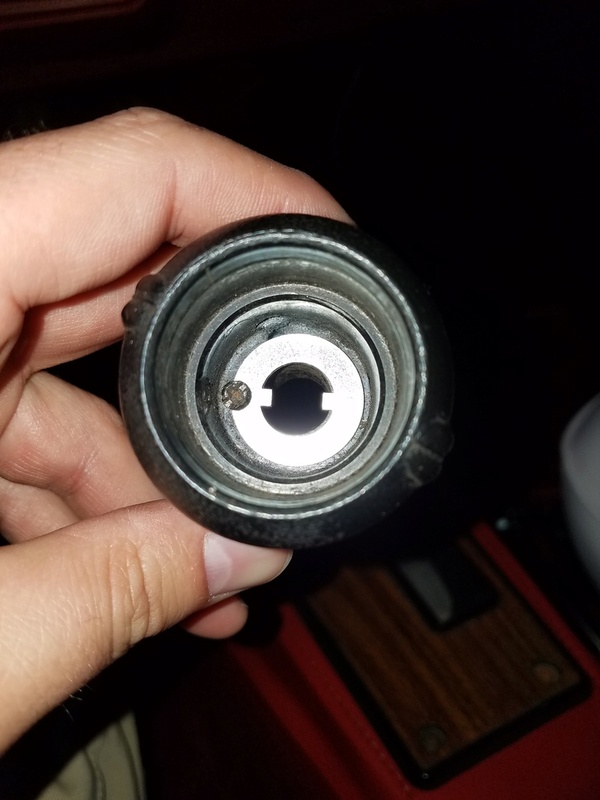 Do you a have a decent 73 knob with the tabs that wont spin around on th shaft I could get from you? I dont need the button. heres what the inside looks like with the plastic plucked away. (not my doing)got it this way. i will sell this knob (not one above) with the thingy you need. make me an offer i cant refuse .its very hard for me to get rid of 73 only things. you can tell from this pic,that the tabs are broke. I've got this issue with the knob on a spare shifter A$$'y I'm disassembling to clean and detail. Was studying some options that might repair the problem and came across this repair kit sold by Motorcitymusclecar/Inline Tube advertised for pre-'73 Pontiacs...including '70-'72 Grand Prixs. 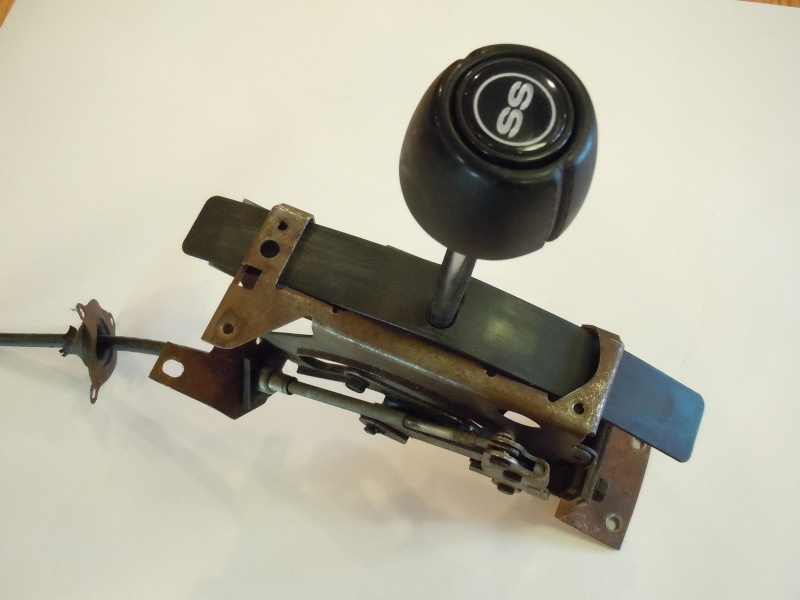 Looked up some pics of shifters for those cars and the knob, button and shift lever shaft look to be pretty much the same as on our Chevys. I know for a fact that the metal clip that goes into the bottom of the button and secures it to the shaft are the same. 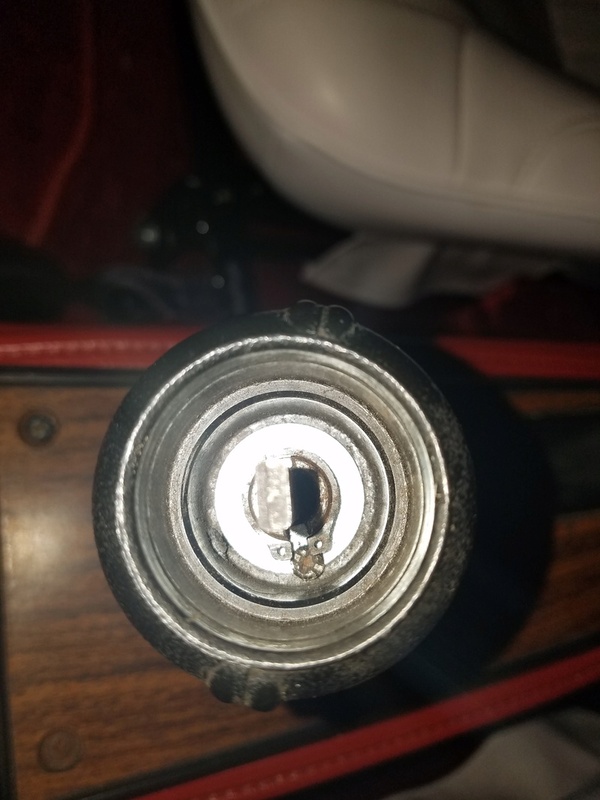 The exception is that it appears there is a second machined groove lower on the Pontiac shaft for the additional c-clip used to prevent the knob from sliding too far down. Because of that, the washer in the kit would only have to sit inside the knob (held down by the top c-clip) and serve only to keep the knob from turning. On our shifters, there is no lower groove for a second c-clip...thus, the inner tabs must provide both functions. 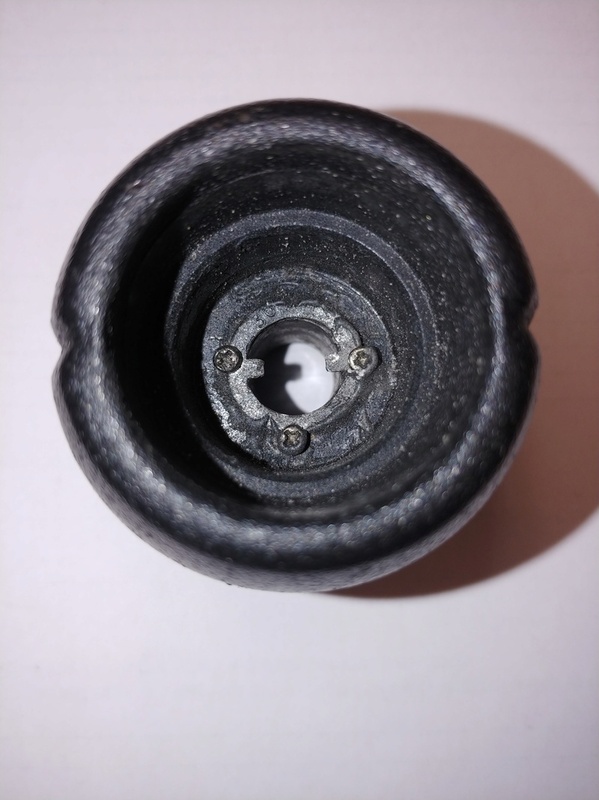 So, either the washer in the kit would need to be secured/bonded to the inside of the knob...or, a person would have to machine or cut a groove into the shaft at the proper location for the lower c-clip to keep the knob from sliding too far down. Any thoughts or wisdom before I order a kit and give it a try? If you have to make a second groove I would use a dremel tool with their small grinding discs. Wear protective glasses because the discs are very thin and if you flex them they will snap. But making a groove would be real easy and pretty quick with a dremel. Mcarlo77, I saw your post/ebay link and thought this kit might solve my rotating 73 knob. It was cheep enough so I ordered one and will give it a try. Sounds like a plan. I think Joe's suggestion to use a Dremel grinding disc to cut the groove is probably the best option; rather than depending on an "iffy" bond between the washer and molded plastic. I'm in no particular hurry...so, let me know how it works out. SSTOOLMAN wrote: Mcarlo77, I saw your post/ebay link and thought this kit might solve my rotating 73 knob. It was cheep enough so I ordered one and will give it a try. Were you able to try the kit? I have the clips but not the tab to keep the knob from turning. It doesn't bother me too much but it would be nice to have it stay put. I installed the kit, Mine wasn't that easy, in order to do it correctly you have to dig/drill/mill out the Knobs molded in metal washer with the ears that fit into the grooves on the shifter shaft. They keep the knob from turning. The ears on yours were probably broke off from someone twisting on the knob. I have access to a Bridgeport vertical mill at my work. I put the knob in the mill vice, centered the knob, milled out the old washer w/broken ears. I Then put the new washer in the knob, I then aligned the washer, drilled a hole in the knob to fit into the slot in the washer and tapped in a roll pin into the hole. The roll pin simply keeps the washer from rotating in the knob. The snap ring then locks everything in place. You might be able to pick at the washer and pull it free and eliminate drilling/milling out the washer, I wasn't that lucky. This may seam complicated but after you buy the kit and see the directions it becomes clear. 73 is a one year only knob I would fix it. 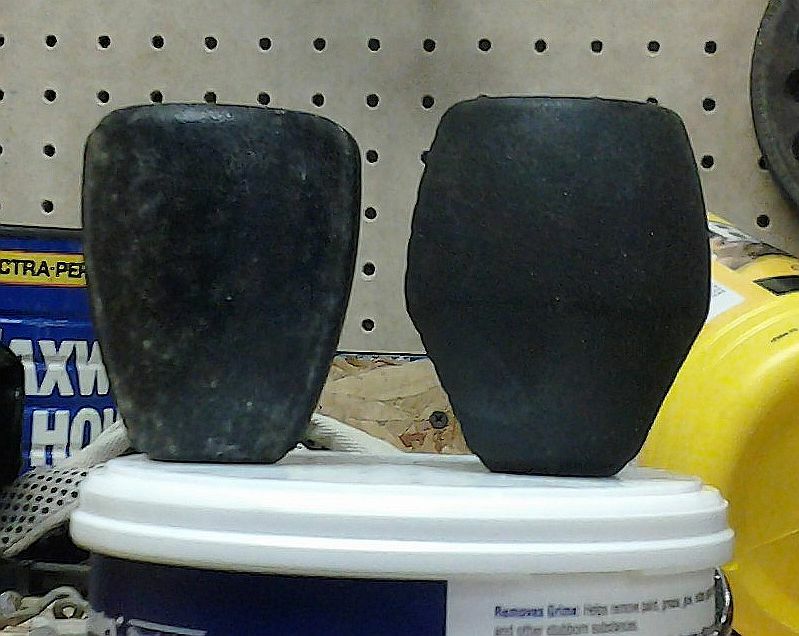 My kit didn't have a hex shaped washer like the pic's above, it was round, this is why I milled it out. It is also possible to groove the shifter rod about an 1/8" (the same thickness as the new washer with ears) below the snap ring groove that is used at the bottom of the knob (this will keep the spacing correct for the button to operate correctly) You could use a Dremmel with a slim cutting disc like is mentioned above, then align the knob to the washer install the roll pin and lock it in place. Either way will work. Thanks for letting me know what is involved, I think I might hold off on this for a while. 1973 454 MONTE Had some knobs for sale back when this thread was first started, I would hit him up for one. I purchased the kit to give it a try and it worked just fine. I don't think the screws in the knob are factory but the I used it to tighten down the washer and it worked good. Nothing else was required. 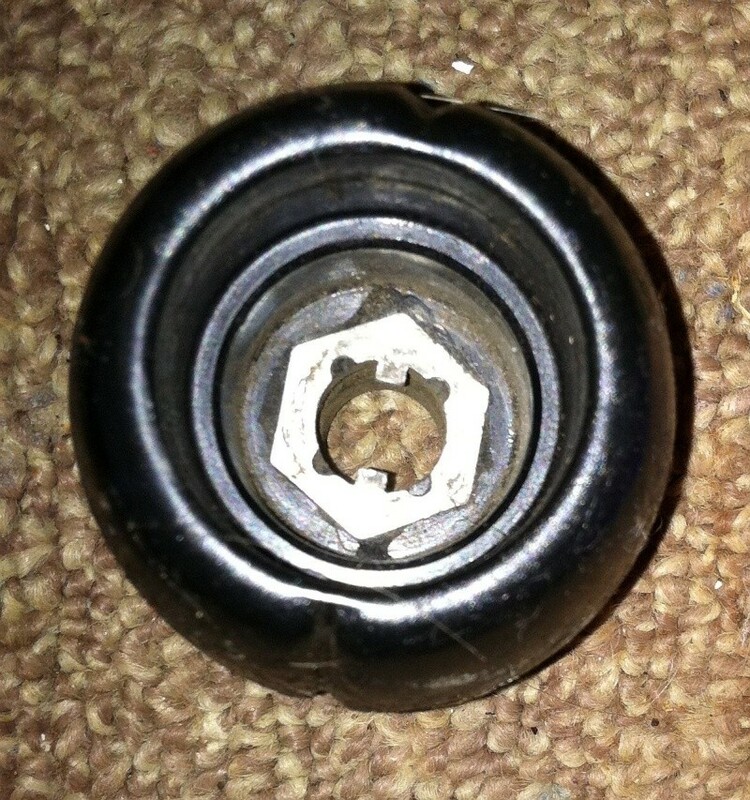 I fixed my 73 shifter knob with a washer I had in my stash that already had the tabs on it. I had to use a file and dremel to ream it out slightly larger to fit the shift shaft through it. Then I used a little epoxy and 3 small screws to secure it. It worked great for several years without issue until I sold the car and kept the knob for sentimental reasons. Now its going on my 77 El Camino I'm currently building.